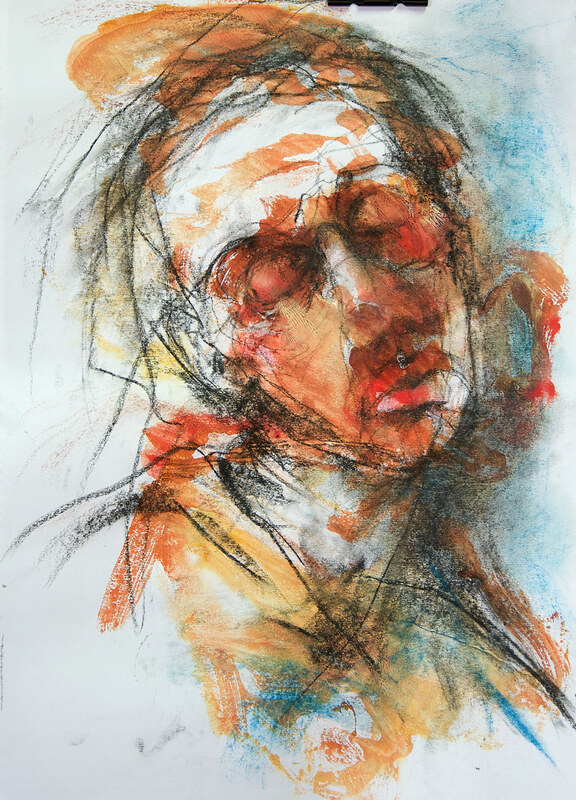 Monoprint – acrylic painted onto glass and then pressed onto paper – drawn back into with charcoal and conte. Thanks Janelle really appreciate your comments. Ronnie…you see beyond the facade…beneath the surface…..you portray the pain most try to hide or just don’t see.